Franklin & Marshall College is a residential college dedicated to excellence in undergraduate liberal education. Its aims are to inspire in young people of high promise and diverse backgrounds a genuine and enduring love for learning, to teach them to read, write, and think critically, to instill in them the capacity for both independent and collaborative action, and to educate them to explore and understand the natural, social and cultural worlds in which they live. In so doing, the College seeks to foster in its students qualities of intellect, creativity, and character, that they may live fulfilling lives and contribute meaningfully to their occupations, their communities, and their world. Support Diplomat Cross Country and help us Raise our Game! Support Diplomat Field Hockey and help us Raise our Game! Support Diplomatic Men's Lacrosse and help us Raise our Game! Support Diplomatic Squash and help us Raise our Game! Support Diplomatic Volleyball and help us Raise our Game! Support Diplomatic Field Hockey and help us Raise our Game! Support Diplomatic Women's Soccer and help us Raise our Game! Support Diplomatic Athletic Excellence Fund and help us Raise our Game! Support Diplomatic Rowing for Champ Week 2018! Support Diplomatic Men's Basketball and help us Raise our Game! Support Diplomatic Softball and help us Raise our Game! 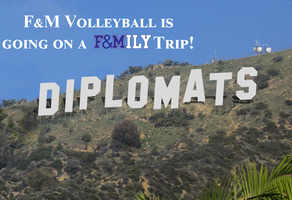 Support Diplomat Volleyball and its trip to California! Support Diplomatic Men's Soccer and help us Raise our Game! Support Diplomatic Baseball and help us Raise our Game! Support Diplomatic Rowing and help us Raise our Game! Support Diplomatic Football and help us Raise our Game! Support Diplomatic Women's Lacrosse and help us Raise our Game! Support Diplomatic Cross Country and help us Raise our Game! Support Diplomatic Women's Basketball and help us Raise our Game! Through Dec. 31, a member of the class of 2005 has agreed to match $100 for each donor from the classes of 2003-07. Don't delay! Give today! Support Diplomat Women's Soccer and help us Raise Our Game! Support Diplomat Men's Basketball and help us Raise our Game! Support Diplomatic Swimming and help us Raise our Game! Support Diplomatic Wrestling and help us Raise our Game! Support Diplomatic Track & Field and help us Raise our Game! Support Diplomatic Tennis and help us Raise our Game! Support Diplomatic Women's Golf and help us Raise our Game! Support Diplomatic Men's Golf and help us Raise our Game! Support Diplomat Swimming and help us Raise Our Game! Support Diplomat Squash and help us Raise Our Game! Support Diplomat Football and help us Raise our Game! Support Diplomat Wrestling and help us Raise Our Game! Support Diplomat Men's Golf and help us Raise our Game! Support Diplomat Volleyball and help us Raise Our Game! Support the Diplomat Athletic Excellence Fund and help us Raise our Game! Support Diplomat Women's Lacrosse and help us Raise Our Game! Support Diplomat Tennis and help us Raise Our Game! Support Diplomat Track & Field and help us Raise Our Game! Support Diplomat Softball and help us Raise Our Game! Support Diplomat Rowing and help us Raise Our Game! Support Diplomat Men's Soccer and help us Raise Our Game! Support Diplomat Women's Basketball and help us Raise Our Game! Support Diplomat Men's Lacrosse and help us Raise our Game! Support Diplomat Baseball and help us Raise Our Game! Support Diplomat Women's Golf and help us Raise our Game! 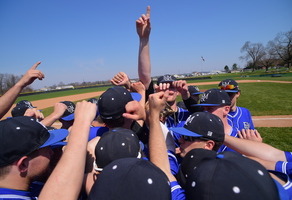 Make an impact at Franklin & Marshall College! Connect with other Diplomats on GiveCampus!